The temper tantrums of a toddler. The backtalk of a teen. And the never-ending squabbles between siblings. Childhood seems to give kids plenty of opportunities to demonstrate anger, doesn’t it? And as a mom of four, I find myself continually needing to help my kids process their anger emotions… how about you? Over the past few years, I’ve come a long way towards being less angry and as a result, I’ve been working with my kids to help them control their anger as well. 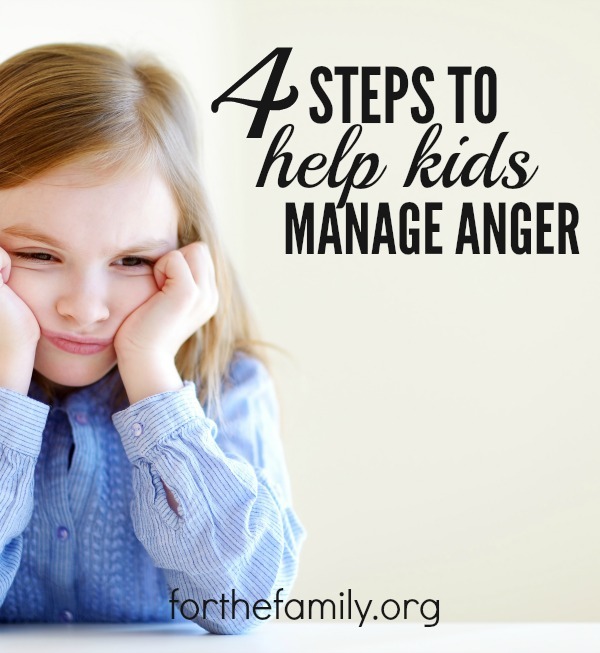 I want to share part of our family’s 4-step method to help kids manage their anger. Obviously this is a generalized outline that can be customized based on the situation and each child’s age and maturity level. We first teach our kids to identify the anger building inside them. Anger isn’t a bad emotion in of itself, however, it’s critical that we know how to handle anger so that it doesn’t turn into sinful thoughts or actions that hurt us, others or God. 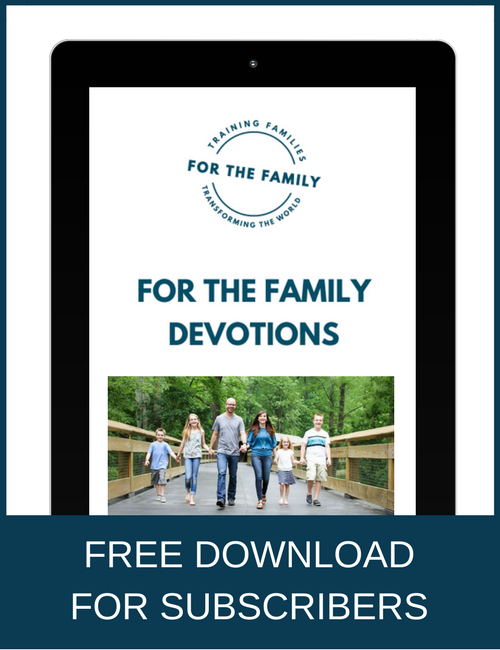 Then, we encourage our kids to do three simple things: lower their tone, take a deep breath (in for a count of four and out for a count of eight) and, if need be, to walk away and talk about it with God. This allows them to diffuse the intensity of their emotions. Once they are able to calm down a little and think rationally (even though the anger feelings are still swirling), we help them separate out their emotions from the truth. Sometimes they’re able to do this on their own, and other times we help them through it. Some questions they can ask themselves are: “What am I really angry about?” and “What is true about the situation?” These two questions help kids, first, get to the root of their anger; and second, separate out the emotion from what is really going on. Now that they’ve been able to separate out their emotions, we encourage them to determine what their next steps should be. Do they need to admit to anything? Do they need to apologize? Should they ask for forgiveness for anything, or do they need to forgive someone else? I love sharing Ephesians 4:1-4 during this time because it shares that we are to “give allowance for each others’ faults.” Isn’t that a great reminder? We all mess up, and we all have little quirks about ourselves that may bother someone else. Our God-given love for each other allows us to overlook those things in the interest of peace and relational harmony. Therefore, the “What Do I Do Now?” step often allows us to have a teachable moment with the child where we can help them realize that, yes, the person who wronged them shouldn’t have said or done those things, but that we all have moments where we make mistakes and hurt others, especially in the heat of the moment or if we’re under extreme stress. We can share that our job isn’t to hold a grudge over that person for their actions, but instead to follow Jesus’ example and forgive “seventy times seven” (Matthew 18:22). It’s easy for anger to become a habit in a child’s life, especially if that child has to deal with situations that are regular anger triggers or they see others around them (like us their parents… gulp!) also exhibiting anger as sin. In this sliding scale, we move from being more and more angry, and thus have a higher propensity to sin the more we move down the scale toward “rage.” However, when we have an anger habit, we quickly jump through the process and can end up at “rage” much faster because there’s already that under-the-surface anger that’s been simmering. God is so good to allow us to not only reveal this sin in our child’s heart (and that of our own anger), but to use these moments to help us see if there’s unresolved frustration happening that’s causing this anger to flare up over and over. He uses these times when we sin to point out deeper sin patterns that we would otherwise not be aware of. Once we are aware of these patterns, we can ask for forgiveness and for a new way to live, which causes us to cling to him even more closely. When a child and I recognize that an anger habit has developed around a particular issue, I often tell the child to watch out because God is going to present them with a similar situation again so that they can learn to make a better choice this time and begin the steps to creating a new non-angry habit response that ultimately brings healing to the relationship and spiritual maturity. In these post-anger moments, I’ve found that my kids often wrestle with intense feelings of guilt from their actions. While guilt is never a fun emotion, it’s critical that we understand the difference (and teach our kids to understand the difference) between conviction and condemnation. Conviction is a healthy chastisement by the Holy Spirit and is a necessary and good part of the Christian life since it encourages us to repent from our sin and to begin following Christ’s example of the path to the fullest richest life. Condemnation, however, is an oppressive heaviness that points out our faults and, instead of offering forgiveness and hope for our mistakes, beats us up and keeps us spiraling down toward despair. If a child is dealing with conviction, I encourage him to listen to heed the Spirit’s correction and to be blessed by His unique “next steps” for him in this situation. If it’s evident that a child has repented of his actions and is suffering under condemning, oppressive thoughts, I remind him of God’s promise that in Christ every sin is forgiven (1 Peter 2:24) and that because of Christ’s death on the cross there is nothing that can separate us from God’s love (Romans 8:38-39). If he has repented and asked for forgiveness, he can let go of the negative thoughts and know that he has been set free to start anew! Obviously the details of how these steps play out will change for each child based on his age and maturity level. It does take kids a while to learn this process, but oh, how awesome it is when they can start to do this themselves! How awesome that, in these everyday anger moments, we can help our kids not only deal with anger in a healthy way but to help them begin to understand God’s role in guiding them toward His best way of living! What an incredible gift to give to our kids—the ability to know how to manage anger well! I’m praying for you as you lead your little ones toward these healthy anger management principles, and in turn, lead them directly to the Father’s arms! Alicia Michelle, wife and mom of four, helps women discover their beautifully imperfect journey through parenting, marriage, homeschooling, faith and homemaking at YourVibrantFamily.com. 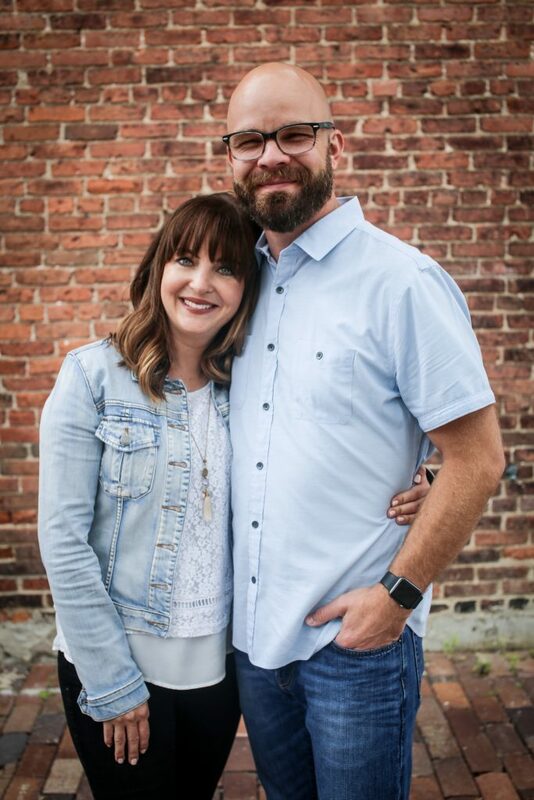 She believes each day offers new opportunities to trust God in unexpected ways; and that “acceptance with joy” is one of the hidden secrets to a full, contented Christian life. You can follow her on Facebook, Twitter, Pinterest and Instagram. I’m in need of these practices and truths. Will you please pray for me to do this for myself and my family? Thank you. Yes! Absolutely! Praying right now for you, Felicia!